Got back from having dimsum and thought I would look around the yard to see what was what. I could see that the single bloodroot had opened in the back and wanted to record any other things that were up. It has been warm for the last few days but is going back down below freezing this week. 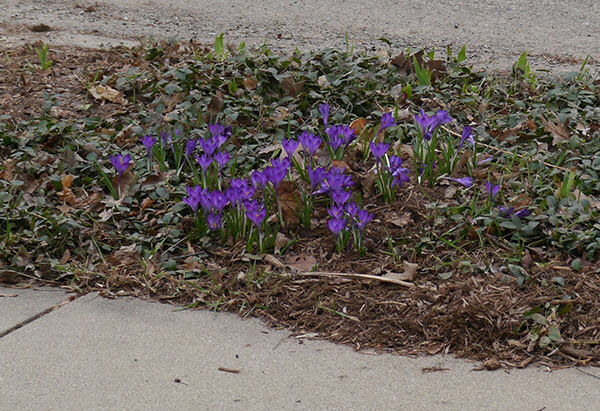 So the species crocus are all open in the front. 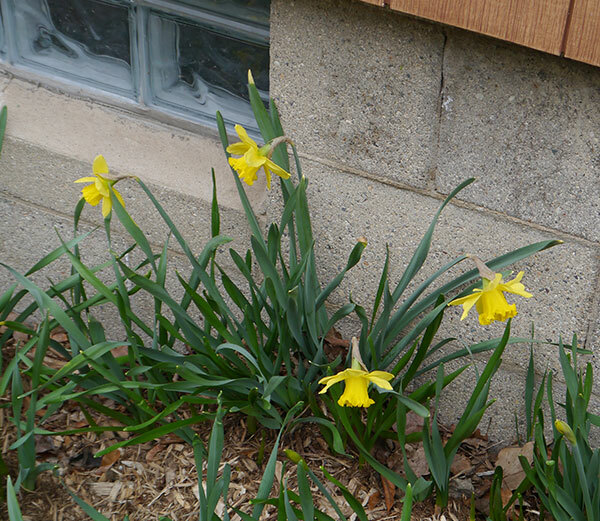 Daffodils open up next to the foundation. The witch hazel by the bedroom window. 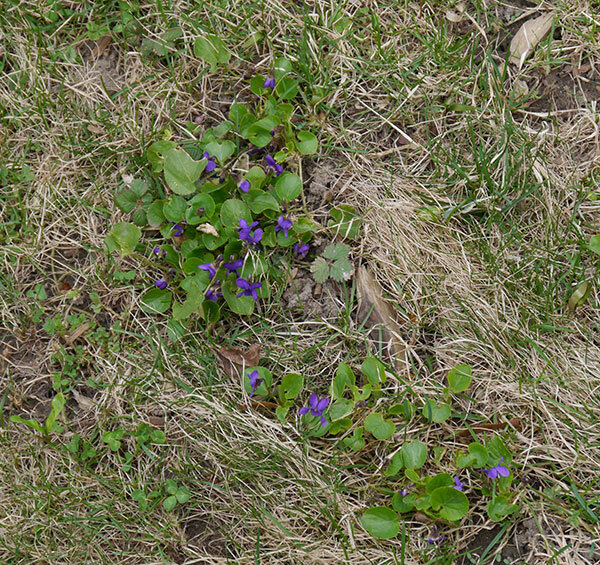 The lawn is full of violets. 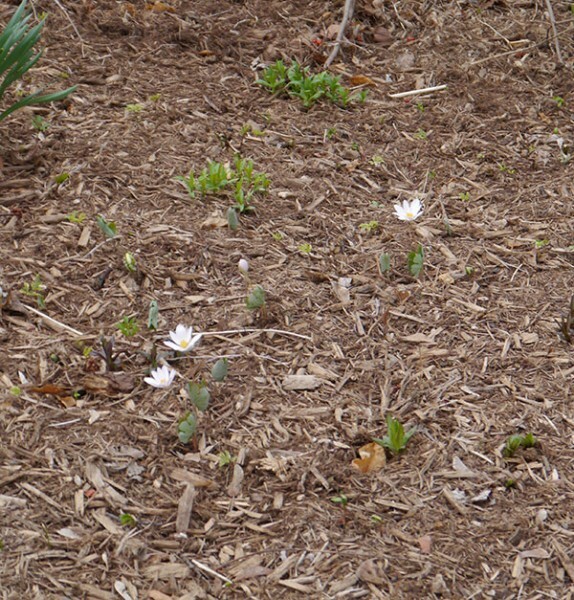 Single blood root in the far back. 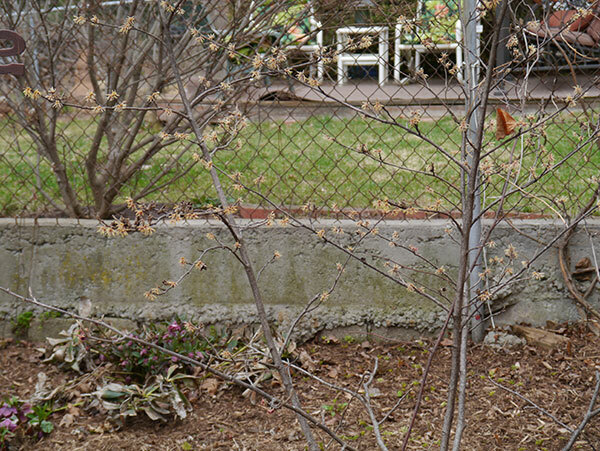 The double blood root behind the shed not up yet. 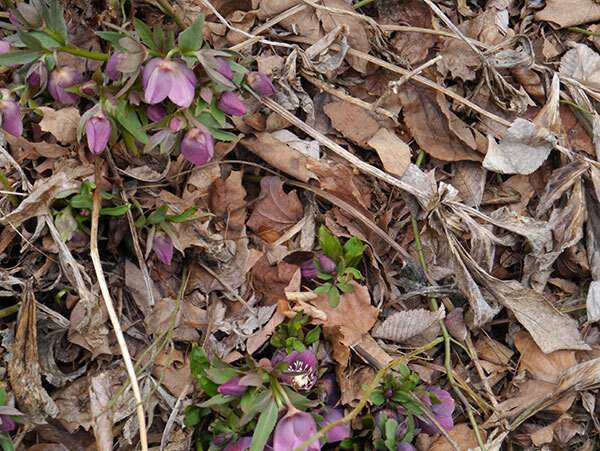 Close up on some of the Hellebores which are all over my yard.